Recently, many of my clients have been asking what they can do to achieve a brighter complexion. A bright, glowy complexion is coveted year-round, however, something about the spring weather seems to make beautiful skin even more sought after. Glowing skin is always your best accessory and perfectly compliments any of the spring fashion trends you may be rocking. Last week, I spoke about how essential it is to tweak your skincare routine for the changing seasons. In that same vein, this week I wanted to discuss on how adding blueberries to your skincare routine (in various different forms) can help your skin adapt to the changing weather. As I mentioned last week, I have introduced a new line of products to ceciliawongskincare.com called Alchimie Forever, a results-driven line that is at once both clinical and natural. Today, I wanted to focus on one of my favorite masks to use in the treatment room, Alchimie Forever’s Kantic Brightening Moisture Mask. This luscious, creamy mask loved by many beauty editors is packed with natural botanicals to soothe, protect, and brighten dull skin. 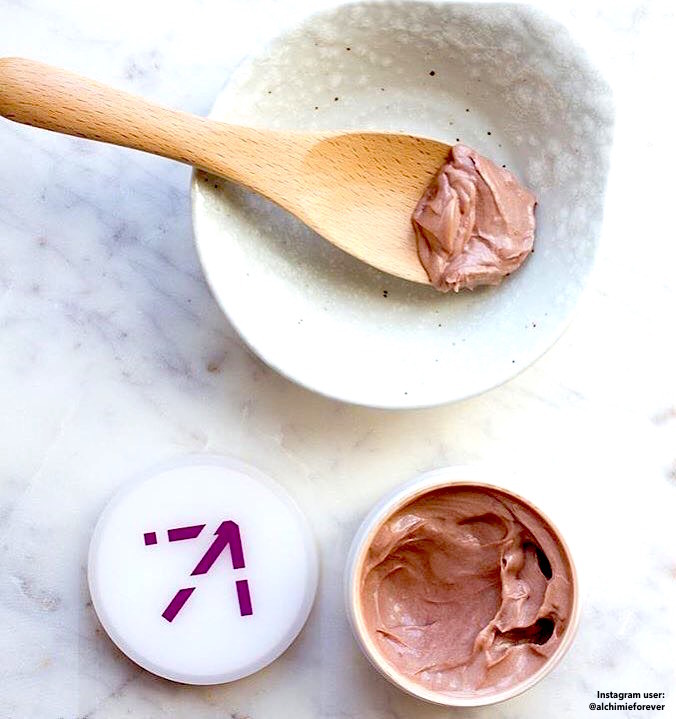 Oats, known for their softening properties, are combined with wild pansies to speed the recovery of distressed skin and calm irritation, while resveratrol from grape extract protects the skin from environmental stress. What I love most about this mask is the scent: it smells like a delicious blueberry smoothie due to the use of powerful European blueberries, which help to reduce the appearance of facial redness. I also love the fact that the mask does not harden throughout the fifteen to twenty minutes you keep it on for. This also makes it super easy to remove and leaves your skin feeling hydrated and glowy, rather than tight and dry. While the Alchimie Forever mask is a fairly new addition to my own routine, as I mentioned, I am no stranger to using blueberries to beautify my skin. Due to my early discovery of using blueberries for skincare, Blueberry Seed Oil is a key ingredient in my signature, best-selling Black Currant Serum. Blueberry Seed Oil is known as one of nature’s most powerful anti-aging ingredients. 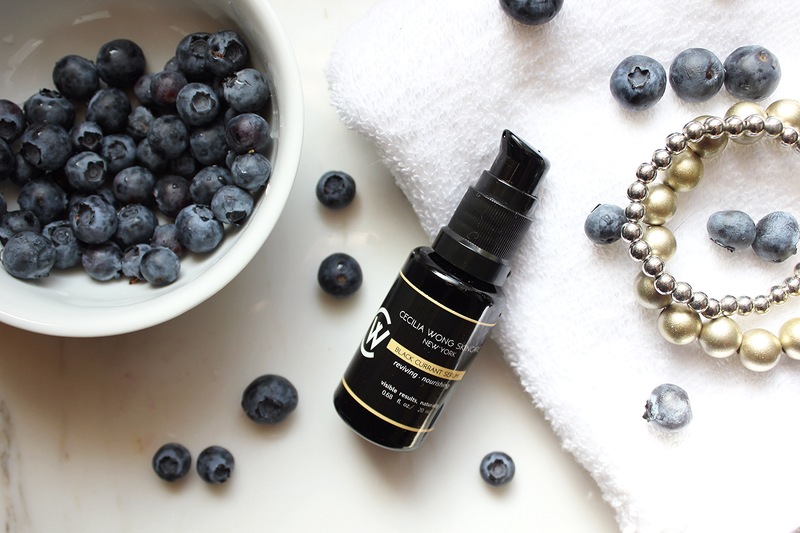 Concentrated with essential fatty acids and dense with phytonutrients, blueberry seed oil aids in repairing damaged skin and scar tissue, helps reduce fine lines and wrinkles, and helps boost elasticity of the skin. Though blueberries are not in season yet, I like to purchase frozen organic blueberries from the store to use in smoothie recipes, like my Blueberry Golden Milk Smoothie. 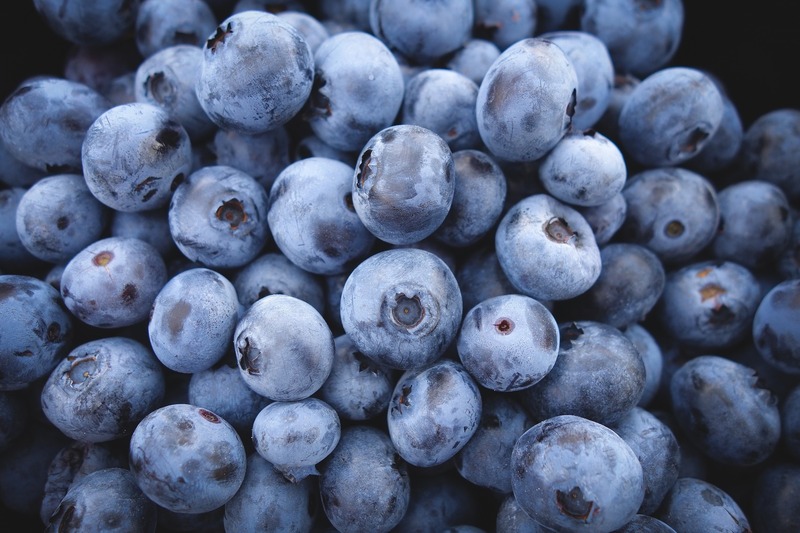 Though I generally recommend eating fresh, locally grown produce, the antioxidants and vitamins in blueberries are hard to beat and some studies have shown that frozen blueberries may actually contain a higher concentration of nutrients than their fresh counterpart. 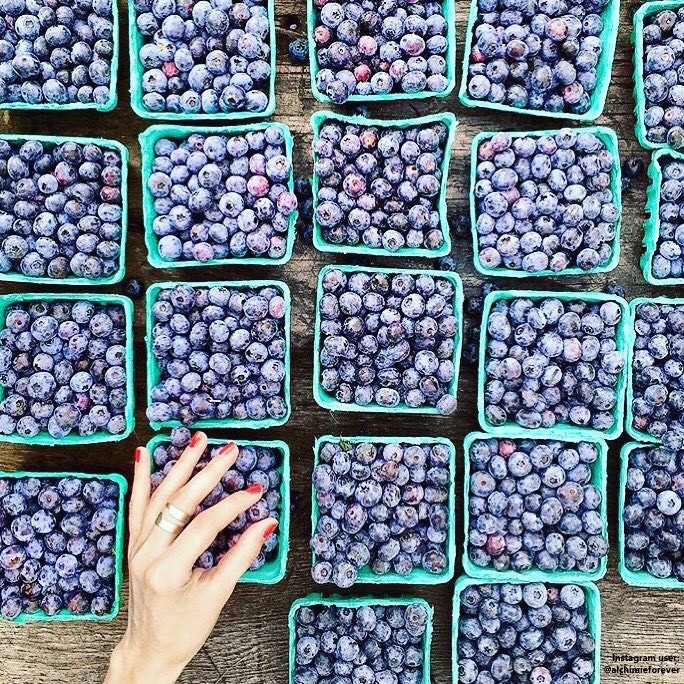 Regardless of how you consume these amazing berries, your skin will benefit from the anthocyanins, which are antioxidants that help protect your skin from damaging free radicals, and the Vitamin C, which is essential for collagen production. What do you think about changing your skincare routine seasonally? Have you noticed that your skin changes with the weather? Let me know if you try adding blueberries to your skincare routine and how it makes your skin glow like never before!